Like music, dance is highly a collaborative effort – for instance, a dancer even when solo will need to work with a music director, costume designers, lighting team and on complicated sets, a graphics team will be needed. Yet some people insist on owning their dance routines for solo honours – it was what made the Orange Moon show that has been a buzz on social media for almost a week such a marvel. 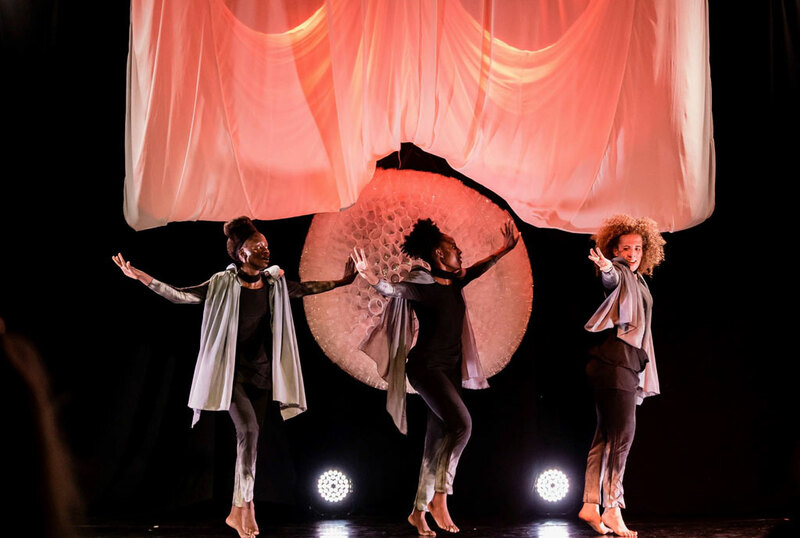 It was a collaborational work that involved people from different backgrounds and above it all, it was produced by women, presented and performed by women. “I wonder how these women managed to pull this off together..” wondered a lady in the audience even before the performance kicked off. 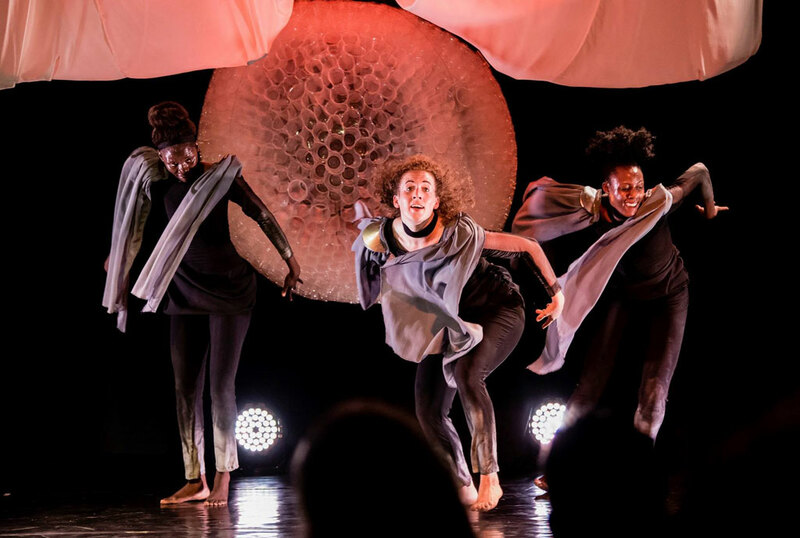 It is a common belief that women in art can hardly work together, thus the curiosity of seeing three distinguished dancers Lillian Nabaggala, Kifuko Key and Vivienne Lutteken working as one on a dance production was one many wanted to experience. And of course they felt the tensions as they prepared the show that took place at The Square, in the industrial area on Saturday night; “We had our tensions that at times we even stopped talking to each other,” says Kifuko. Of course it was also a realisation for them that once a journey to work together, magic can be achieved. Orange Moon directly gets its name and influence from an Erykah Badu 2005 song of the same title but the significance of the production was what the moon meant to the performers, some of the definitions were personal but others were global. For instance, the face of the moon is naturally linked to the natural circle of a woman that is said to be synced up with the waxing and waning of the moon. 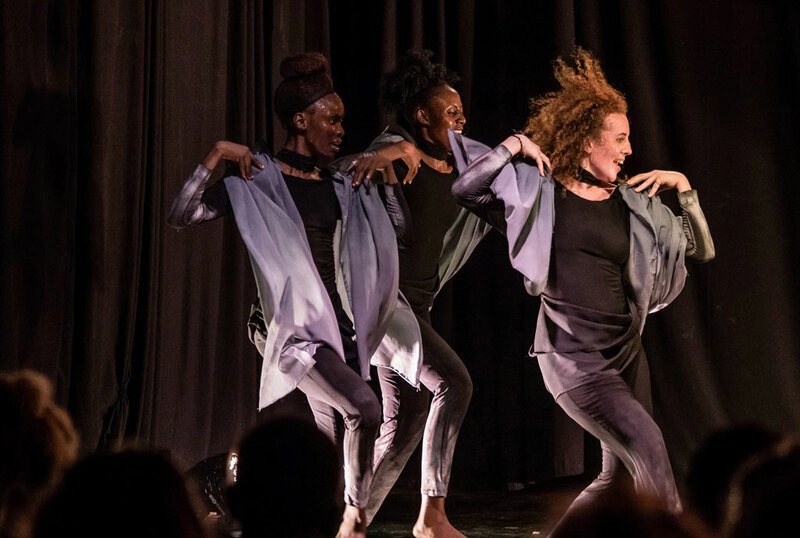 The show kicked off at 8pm and for over 45 minutes, the dancers took the audience on a journey that celebrated, tackled issues and of course criticised women as well. Dressed in black, the three emerged from the white curtain that doubled as a screen for multimedia purposes and a holder of a Sandra Suubi collage art that created an illusion of the orange moon. With moves, they talked emancipation, independence and surprisingly, absence of support of women by women. The production was also preceded by a photography exhibition that was coupled with poetry as well other writings that either talked about the Orange moon or womanhood as a whole.